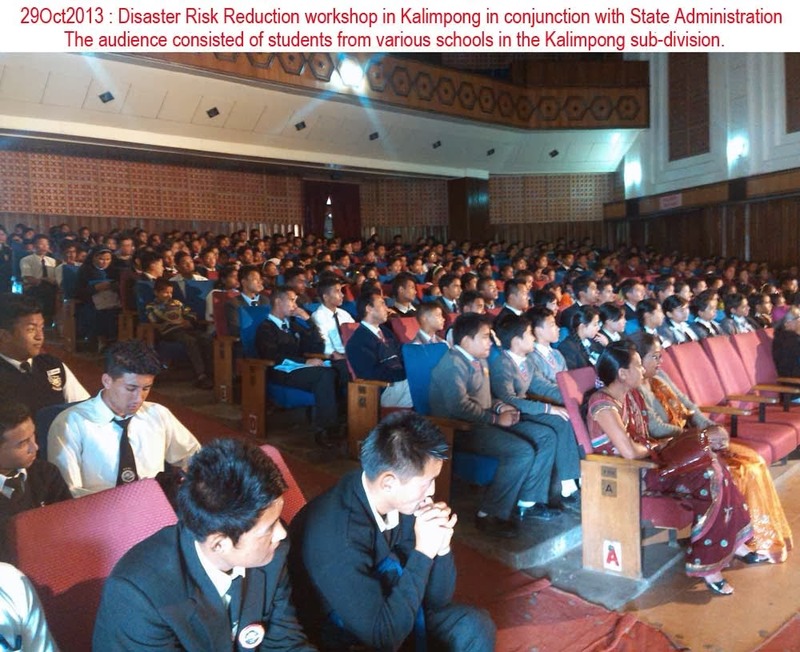 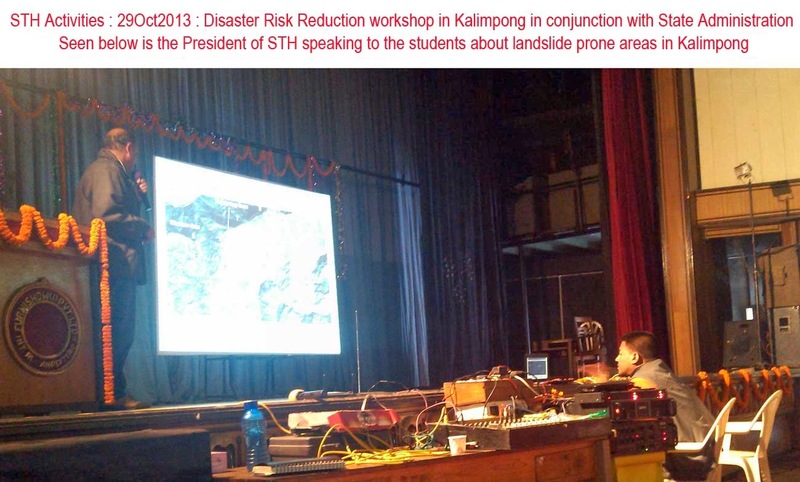 STH held a DRR (Disaster Risk Reduction) seminar in Kalimpong on 29Oct2013. 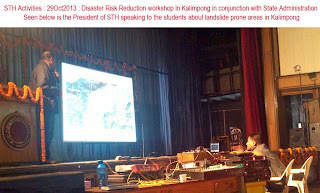 The audience comprised of almost 500 students from various schools in the Kalimpong sub-division and we conducted a 90min interactive Q and A session with video breaks covering the cause and effect of various hydrological disaster events (cyclones, cloudbursts,landslides etc) that affect the SHWB (Sub Himalayan West Bengal) region and Sikkim; we also talked about dams and earthquakes. We would like to thank the State Administration for organizing the event.